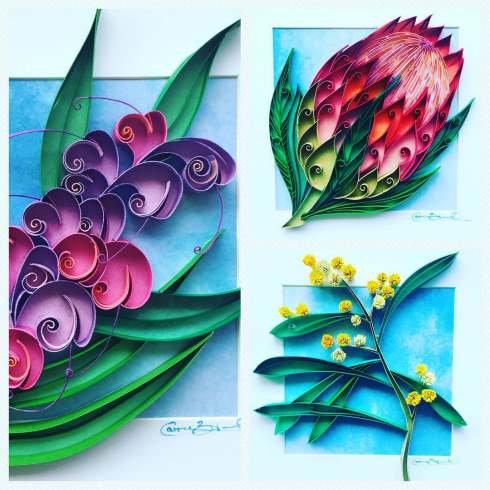 Although I've enjoyed collating recent posts about paper jewelry and party decorations, this week I'm happy to be featuring three artisans who create remarkable paper art that can be used as home decor. 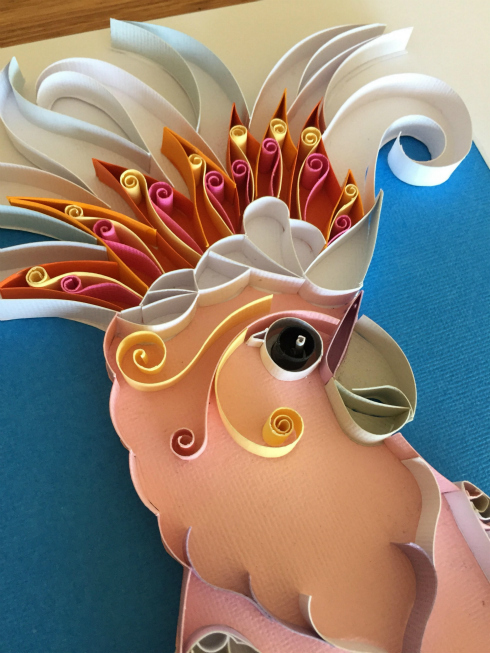 Carrie of Tambella Arts makes colorful on-edge paper birds, flowers, and more. I love the way her images capture a slice of life in a faraway place that I might not ever have the chance to visit. While we have pretty birds here in the northeastern U.S., how I would love to look out my window and see vivid cockatoos the way she describes! 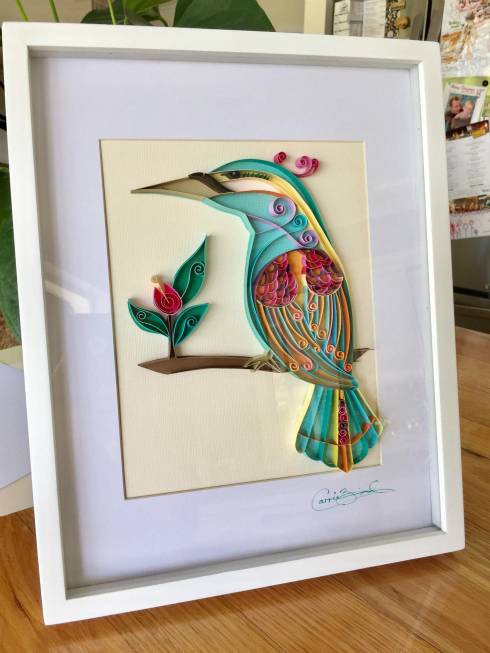 Influenced by the native flora and fauna of her Queensland, Australia home, Carrie combines quilling with paper cutting to create neatly done designs. She accepts custom requests and enjoys the opportunity of bringing clients' wishes to life. Follow along with the latest creations of Etsy shop Tambella Arts via Instagram and Facebook. Like Carrie, Nayan and Vaishali of Etsy shop NV Illustration are nature lovers. 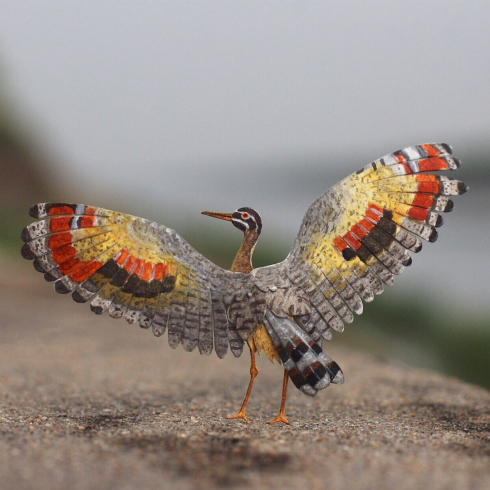 They turn the birds they see near their home in Ahmedabad, India and around the world into paper art. 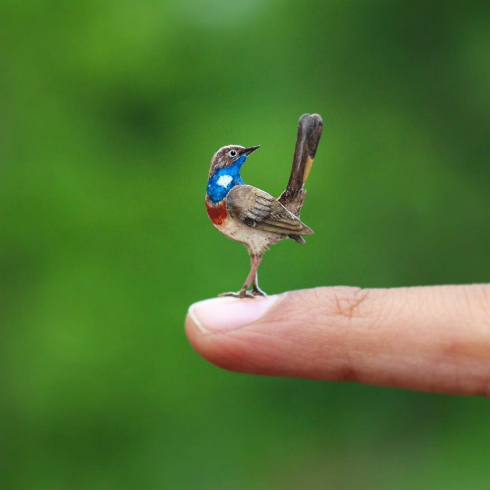 It has the added attraction of being really, really tiny! 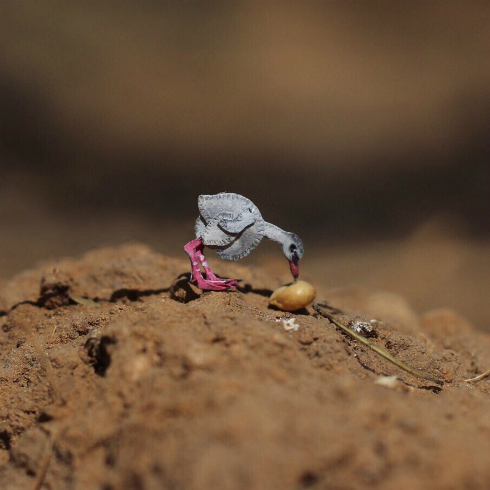 Currently, they're participating in 365 Days of Miniature Art. I follow along on Instagram (@nvillustration) where I'm enjoying becoming more informed about a diverse collection of feathered friends via their posts. Often the birds are photographed outdoors, making them even more appealing. So lovely, in fact, I think they could print these images and list them in their shop! While working for the National Institute of Design as model makers, the duo loved sketching just for fun between tasks. They realized that others might enjoy their art as well, which led to the opening of their shop. 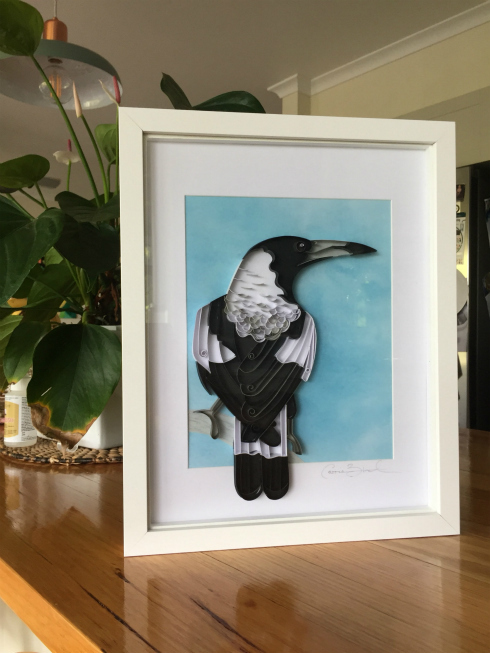 Each paper bird is drawn, hand cut with a scalpel, painted with watercolors, assembled, and mounted on a backing paper ready to be framed as wall art. 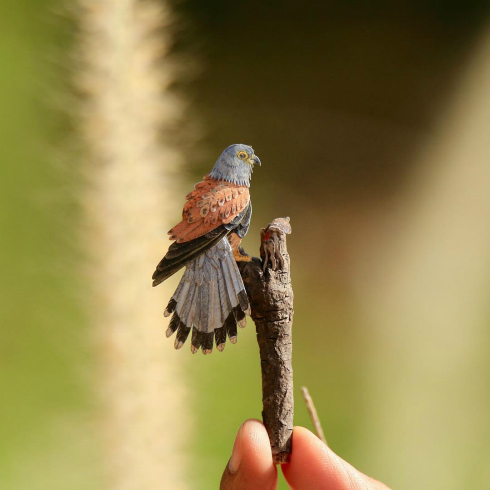 Nayan and Vaishali also create dioramas, paper jewelry, and custom portraits. NV Illustration is on Instagram or Facebook. 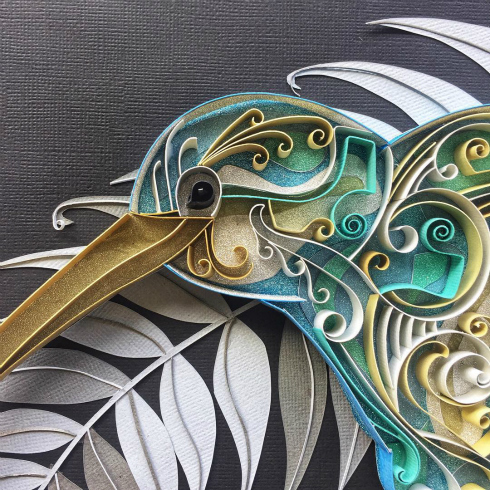 I absolutely LOVE paper so it is ALWAYS a thrill to visit here and see the work of artists working with paper. No disappointment this morning. Such lovely and diverse examples of talent. So happy to hear you enjoyed the post, Karen! 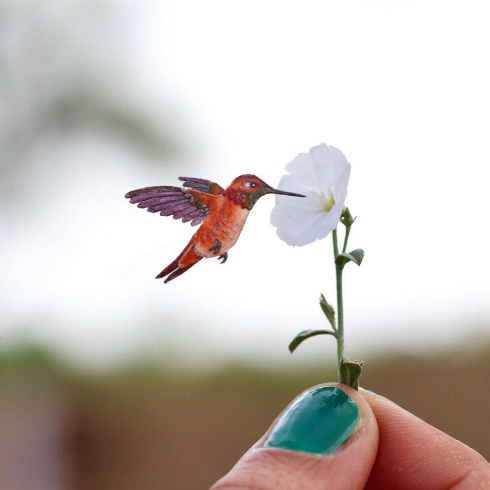 Incredible paper work! You can tell how much patience is needed for projects like these. Hi Bronwyn, I'm glad you enjoyed the post!